The following article was written by Charles Johnson and published on his blog, The Rad Geek People's Daily, October 10th, 2011. So, going through the final rounds of work on Markets Not Capitalism with Gary Chartier and the rest of the Collective has really been reminding me that I’ve accumulated a lot of occasional and fragmentary writing — papers, paragraphs, notes, etc. — that I really ought to have been collecting for this blog and sharing more widely. I’ll be trying to work on getting some of that material up over the next several days. For now, here’s a note I was recently reminded of at /r/Anarchism, for the sake of general reference. Hardest thing I have explaining to people. Markets =! capitalism. 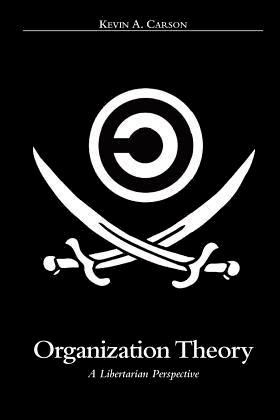 I’m an anarcho-syndicalist/mutualist. I see markets as useful, but private property as a government enforced means of keeping the rich in power. Markets are a decentralized means of transferring ownership (individual ownership and quid-pro-quo exchanges of goods and services). Capitalism is a particular pattern of ownership (a class monopoly — where capital and land are concentrated in the hands of employers, landlords and financiers). Some people think that market forms of exchange (individual ownership, contracts, etc.) will naturally lead to capitalist patterns of ownership. Mutualists dissent. 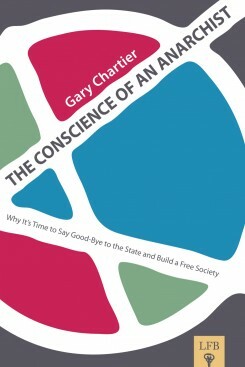 Mutualists think that the concentrations of ownership that exist right now are not the natural tendency of the market form, but the result of government privileges and prohibitions that deform existing markets — including privileges to capitalists (think bail-outs, corporate welfare and government-granted monopolies), and suppression of more grassroots or horizontal forms of economic organization (think of governments mandating people to buy in to the corporate insurance market, shutting down free clinics and mutual aid societies, busting unions through Taft-Hartley and “Right-to-Work,” etc. etc.). So they think that the best way to get rid of capitalist economic privilege is to get rid of the plutocratic political privileges that prop it up, and let it collapse under its own weight. 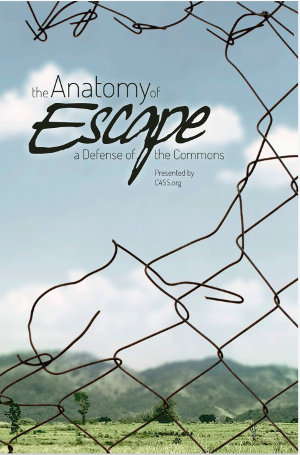 Any social or economic problems that remain would be addressed through social activism and bottom-up, community-based forms of free association — mutual aid societies, neighborhood asembleas, co-ops, unions, etc. Freed markets would be co-ops, worker-owned shops and individuals trying out new experiments and trading with each other for the things they need or want, rather than staging grounds for highly-leveraged corporate capitalist mega-fuckery. In my case, the feeling that markets and capitalism are the same thing isn’t so much from lack of reading as from lack of positive experience with markets. Of course, the left libertarian definition seems to match the anarcho-capitalist definition of capitalism. Capitalism, to me, is just another word for business, and includes small business. I suppose I understand capitalism to be the pursuit of advantage in the context of markets. I understand freedom/equality to be the absense of advantage, political or otherwise. Thanks for the comment. I didn’t mean to imply that everyone who has worries about markets or left-wing market anarchist formulations only has those worries because of a lack of reading. The comment from steveklabnik was included simply to establish the context of the conversation that the note was a part of. And I don’t blame you for coming away from the capitalistic markets that surround us with a lack of enthusiasm about business in particular or markets in general. Where I dissent is that (1) I don’t think that business as she is played, when the 99% are massively dispossessed of small-scale ownership and constrained in their daily lives and livelihoods, is reflective of what commercial relationships would look like if (through the destruction of privilege and grassroots community organizing) more or less everyone has more or less decent access to means of production, means of survival, decent healthcare, a rich community life, etc. etc. But also, perhaps more importantly, (2) I don’t think that markets are all business anyway. They include that, but they include a lot more besides that, and I think that in a free society the besides would tend to become relatively much more important than it is today. (And if it didn’t tend to on its own, then it’s possible and desirable for us to organize and engage in community activism, so as to make it relatively much more important.) More on that below. Of course, the left libertarian definition seems to match the anarcho-capitalist definition of capitalism. I take it that you mean the left libertarian definition of markets seems to match the ancap definition of capitalism? If so — well, it’s complicated. 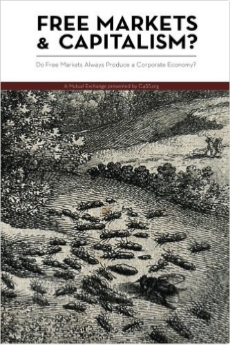 Capitalists typically give one explicit definition of capitalism, but then do something different with the word in practice — they seem to believe that if you have free markets (including the freedom to engage in for-profit business) then of course you’ll get fairly conventional-looking corporate capitalist patterns of ownership and control. I.e., many are happy to use capitalism just to mean markets because they believe (wrongly, in my view) that once you have the market, you get the economic hierarchy for free. And yet they will also turn around and attack perfectly legitimate free-market activities — like wildcat unionism (for example 1 and 2, anti-sweatshop boycotts or fair trade certifications, nonviolent social activism (sit-ins, zaps, etc. ), worker co-ops or other forms of common ownership of the means of production, etc. — as anti-capitalist. A few pro-caps are self-aware enough about what they are doing to actually introduce a parallel distinction (for example, here’s B.K. Marcus) and specifying that they really mean to defend not only markets but also capitalistic patterns of ownership on top of them. In any case, my real interest here is not in the semantic issue of what to call all this. It’s in the substantive issue of whether markets (as I’ve used that term — substitute whatever other term you like best) really do lead to capitalistic patterns of ownership (see above). As long as there’s some terminology to articulate and work through that claim, well, I have my reasons for preferring my own terminology, but it’s not too important to me how somebody else spells the words. But most anarcho-capitalists rig the language so that there isn’t any way to do so (by trying to grab up both markets and capitalism in the single word capitalism ). So I object to them doing that. Capitalism, to me, is just another word for business, and includes small business. I suppose I understand capitalism to be the pursuit of advantage in the context of markets. I also don’t think I was saying that markets are all about business. Certainly markets include business. 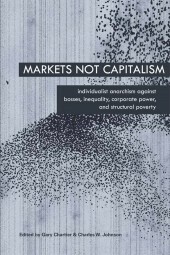 But they can include a lot of things beside, and I think that the freer a market is, generally speaking, and the less capitalistic and more widely distributed the patterns of ownership in it are, the more likely it is to encompass more than just stereotypically commercial activities or priorities.